Durable Snellen eye chart. Use for 20' distances. Non-reflective, matte finish with green and red color bars. 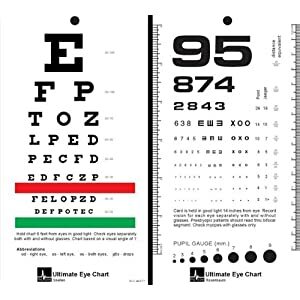 This is a chart for measuring visual acuity at a distance - in other words, how well you can see things that are far away.